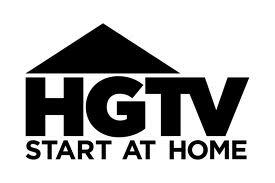 Something caught my attention last week as I was flipping through the TV channels — a DIY guru on HGTV asking someone to take care of asbestos. I was shocked to hear the word asbestos spoken anywhere on national TV, let alone on one of the top networks. I was also caught a little off guard after hearing him ask the homeowner to deal with it instead of advising them to seek professional help. Let’s hope it was a joke. Asbestos exposure during home renovations and DIY projects should be a big concern for homeowners who wish to make changes in a cost-effective way. Previously, networks would cover DIY projects for viewers without discussing the possibility of being exposed to toxic chemicals. If you are like me, some of our at home projects turn into a disaster. A comical show Disaster DYI showcases the common mistakes homeowners make when taking on these projects, but asbestos is no laughing matter. Thankfully, DIY shows recently showcased the importance of safety when working on your home by featuring shows such as Holmes Inspection on HGTV. This show features homeowners who have problems involving a massive repair or dangerous living condition after being misled by a home inspector or contractor. Inspector Mike Holmes comes in to re-inspect and solve the problem. This is a great example of why it is so important to find a certified home inspector when purchasing or renovating your home. 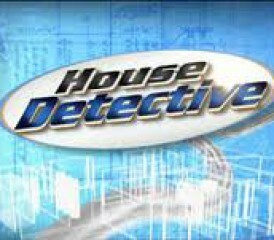 House Detectives, a new show also on HGTV, is slightly different because it showcases the ins and outs of home inspections. The informative series takes the viewer inside the nooks and crannies of homes and shows them the inspection process. It shows homeowners what to expect in a home inspection and common problems that can arise in the process. Hitting the screen later this year will be ABC’s two-part mini-series “Devil’s Dust,” featuring the story of three men and their experience with asbestos. This is an inspiring drama that will showcase the asbestos industry’s scandal, politics and media power through the decisions made by Australian-based company James Hardie. The hazards that surround asbestos are finally receiving the publicity that’s been needed for decades. Asbestos prevention is currently the only way to avoid the risk of developing mesothelioma, a rare and fatal cancer caused by asbestos exposure. Having our community and government involved will be the key in making this happen. Have you seen any shows featuring the dangers of asbestos? Share with us on Facebook and Twitter. Rachel Gilner joined The Mesothelioma Center in 2010, first serving as an awareness coordinator before transitioning to public outreach and social media. Drawing on her passion for raising mesothelioma awareness, she engages the online community to inform readers about a variety of asbestos-related issues.